Do you want to know what’s coming on The Orville season 2 episode 2? For starters, get set for the time period premiere! We’ve waited a while in order to get the series back on the air, and it seems as though Fox is trying to make up for this by giving you a chance to check out two episodes over the course of one week. Related Video – Check out some thoughts on the premiere episode below! Meanwhile, be sure to subscribe to CarterMatt on YouTube for more. What’s also going to be interesting about this particular episode is that it’s somewhat of a holdover from the season before. “Primal Urges” was actually shot back as a part of the season 1 order, so be prepared for something that may feel in some ways like a blast from the past. It’s more than likely going to be a standalone story, but that sort of concept shouldn’t be just completely unfamiliar to this show given that this is really its bread-and-butter. It makes its living try to find a way to tell what are basically mini-movies every week, which does give it a feel in some ways of a Star Trek or even a Doctor Who. Its survival, by and large, is going to be dependent on the quality of the stories that it continues to put out there. If it can find a way to be steady and deliver more stuff that is similar to what we got at the end of season 1, there’s plenty of reason to be optimistic over the future of the series. From an action standpoint, it does appear as though the #1 priority for the cast this episode is trying to actually save a planet from its sun — we don’t exactly know how one ship can make a difference here but that’s something that The Orville is nonetheless going to try. The Bortus storyline could bring a little bit of comedy, but don’t be altogether shocked if it ends up being a little bit more meaningful than you would first assume. This is really a pretty-nice microcosm for this series as a whole, as it does often find ways to be a little bit more emotionally poignant than you would assume that it would be at the start of it. 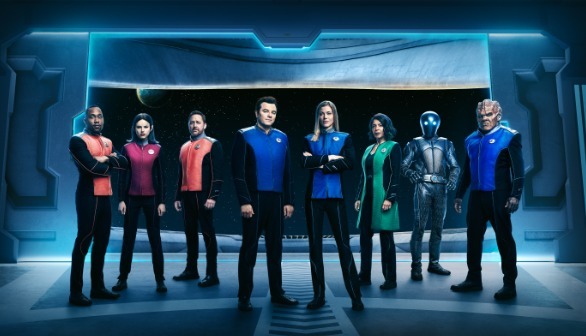 Related News – Be sure to get some more news regarding The Orville right now!